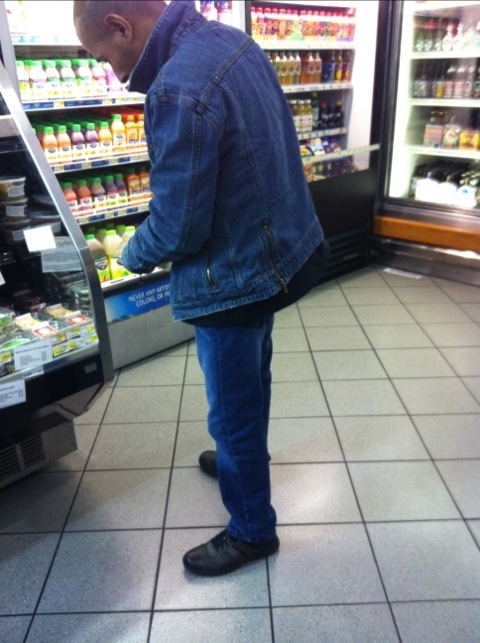 I spotted a couple Denim Dans at Erewhon Natural Foods Market tonight, but this guy was the only one doing it right. While I was waiting for my Super Antioxidant smoothie, this guy cruised by to pick up some raw vegan delights. Psst. How cute are their signs? 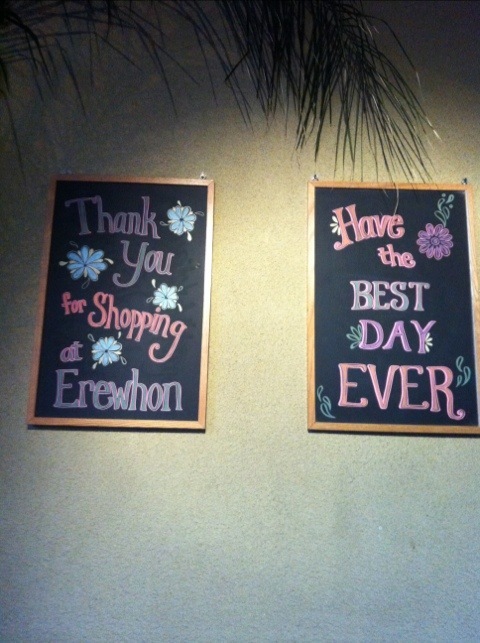 This entry was posted on Friday, November 11th, 2011 at 6:59 pm	and tagged with Canadian Tuxedo, Denim, Erewhon, Erewhon Natural Foods Market, Jeans, Los Angeles, Raw Vegan and posted in In The Wild. You can follow any responses to this entry through the RSS 2.0 feed.